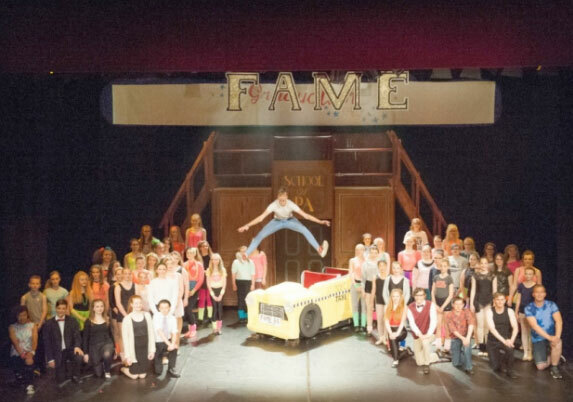 A cast and crew of 80 students from Bridlington performed a production of Fame Jr at The Spa, Bridlington. The performance was showcased for a matinee of Year five students from primary schools in Bridlington as well as some elderly guests from a residential home. The cast, made up entirely of students and ex students aged between 11 and 18, had been rehearsing for the two shows since February under the direction of Mrs Whittingham and Mrs Hardy. Head of Performing Arts, Nina Hardy said: It was a fantastic show with fantastic students. The Performing Arts department is extremely lucky to have a dedicated team of ex-students that come back from university each year to help with the show. The lead roles: Nick Piazza - Sam Green, Serena Katz -Jade Inman, Joe Vegas, -Connor Blackburn, Tyrone Jackson - Cameron Reen, Carmen Diaz- Jennifer Burdon, Iris Kelly - Elanya Stead, Mabel Washington - Lucy Burdon, Schlomo Metzenbaum, - Jamie McKellar, Miss Sherman - Jess Pearson, Ms Bell - Natalie Clydesdale, Mr Myers - Michael Singh, Mr Sheinkopf - Riley O’Toole, Grace Lambchops - Karina Woollens, Goodman ‘Goody’ - Nathan Turner.